Lovebird Bridal Boutique opened in January of 2012 in lovely downtown Kingston. Set in a beautiful historic building, our boutique is both relaxing and inviting. Our space is brought to life with beautiful gowns, lace, ribbon and of course the bride with her family and friends! 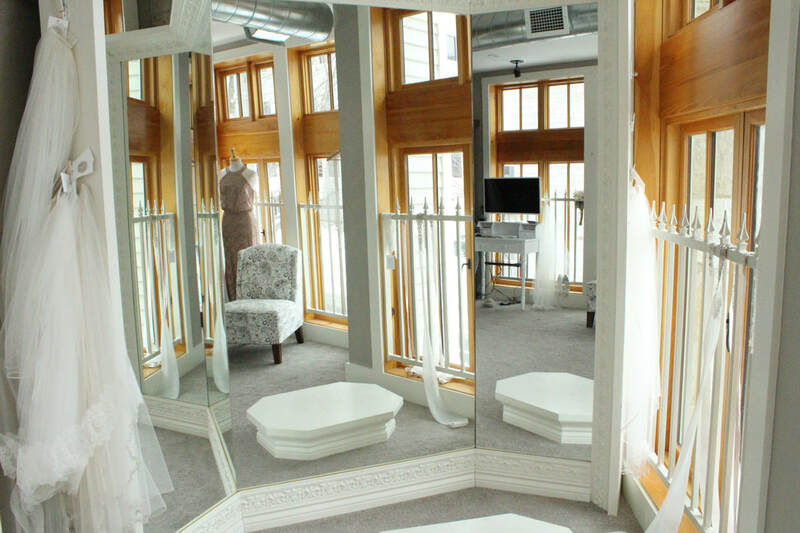 At the boutique we strive to provide the absolute best service to our brides and their bridal parties. We believe that this experience should be a memorable one. Our Consultants listen to every detail as the bride sets out to find her perfect bridal gown, bridesmaids' gowns or mothers' attire.